When thinking about this blog post, I began to think about how technology has transformed so many retailers, both online and traditional. We all know how effective technology can be for the big guys, but let's just say you are not Amazon and that you are a more traditional retail business with no online presence. Does technology really drive your business? Is it really that important? From talking to some of our customers about this topic, it is a unanimous conclusion that technology is absolutely fundamental to their retail businesses. From the initiation of the promotion to drive the customer into the shop, through to the shopping and payment experience through to the back office administration, the entire process is (or should be) fluid, helping the customer on their journey and helping the retailer efficiently manage the transactions in their internal systems. But here's the reality... Many retailers have openly embraced the latest customer-facing retail technology solutions from self-service check-outs, self-scanning and now new trends in personalisation and artificial intelligence are coming into vogue. The gap usually appears however when you take a peek inside the inner workings of the administration/finance office. So, the customer has visited the shop, has completed the transaction and has left. What happens next? 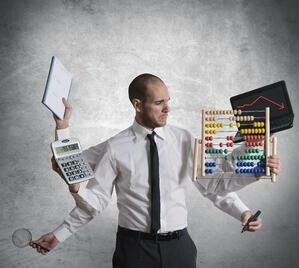 Sales - All of the EPoS sales transactions need to magically go from the EPoS system into the finance system. If your EPoS system happens to include a finance system, that's great, but often this "finance" system is not in fact a "finance" system, but a simple debtors ledger. Can it produce a set of accounts? Probably not, so in theory it will solve the issue of getting retail sales transactions into the back-office, but it is then leaving a gap of having to complete management and statutory accounts in another system or by handing over your "books" for your accountant to complete your management accounts (€€€). If your accounts system is a series of spreadsheets or an actual accounts package, but dis-connected from your EPoS system, then this "magic" is likely to be in the form of a person tasked with doing the data entry (see image above!). Somebody needs to tell the accounts system about all the retail sales that you have made today, so that your EPoS system and your accounts system match. Often this information is summarized to lighten the burden on the person creating this "magic" and as a result it may be lacking in substance (i.e. just high level summary information, but no real analysis of the transactions). Purchases - When deliveries arrive into the shop, they are sometimes (but not always) scanned into the EPoS system. 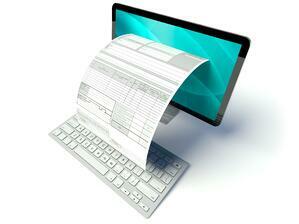 Then the supplier invoices arrive electronically or in paper format. They need to be matched up to the deliveries received before the invoice is processed. A time consuming task to say the least, but one that many retail organisations happily continue to do manually. Fine, if you are in the high value, low volume retail world, but what if you are a convenience store and have hundreds and thousands of items and deliveries? Check to see if your back-office system connects up to your EPoS system. i.e. is there an electronic/automated way of showing your sales transactions in your accounting/finance system, without having to key them in manually? Many retailers take an "end of day" figure and enter that into the accounts/finance system at the end of the day. That's great, but how was this figure made up? Which department performed best today, which department produced the most profit this month etc? All questions worth considering as detailed and accurate information like this can really give retailers the competitive edge. 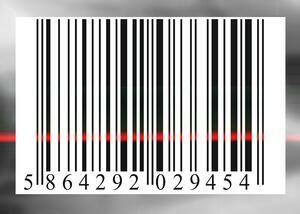 Check to see if your EPoS system has the capability to enable scanning at the back door. This will help speed up operations firstly, but it will also help to improve back-office efficiencies. Check to see if you can receive your supplier invoices electronically. This is particularly apt for retailers or franchise operators who deal with one or a few key suppliers with large volumes of transactions. Receiving your invoices electronically can make for a much happier administration/finance team. It's also a big thumbs up for the environment. Another point to add here...Great if you get invoices electronically and great that you may be scanning the deliveries, but if your EPoS system and accounts systems are dis-connected, then the matching will still be pretty tedious and will still cause the same frustrations dealing with credit notes and queries. See if there is a way of automating the matching process as this can be extremely time-consuming. If you follow the above steps, then logic would suggest that you should do something about the paperwork. Think about how to streamline your document capture processes so that you are not relying on paper. For retailers with multiple locations, the ideal is to centralise the capture of delivery dockets into a single location and then integrate the document scanning with your back office system. Delivery dockets can be used to enable transactions be swiftly processed and queries to be flagged and managed straight away. 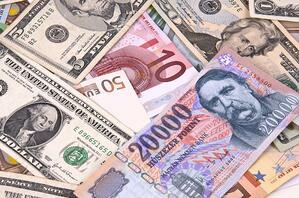 Review your cash reconciliation processes. If you have multiple shops/stores and are using an EPoS solution that does not connect to the back-office, then it can be quite time-consuming and cumbersome to manage. Look at the possibilities of streamlining and centralising this process, so that the cash is automatically posted for each shop into the accounts system. This will facilitate cashflow management, plus it makes it easier to spot and act on discrepancies on a daily basis. Think about how the data is managed across the business. Looks at having unified systems across all shops. Ideally, there should be a head office function to centrally manage the transactions. So, data flows from the shops through to the head office and into the accounts system. Not having its a finance system built within your EPoS system can often be advantageous. Using "best of breed" applications for EPoS and Finance with a bridge connecting up the two systems may just be the ideal solution. Having a head office system will also help you centralise your reports and analysis, enabling you make informed decisions, faster. 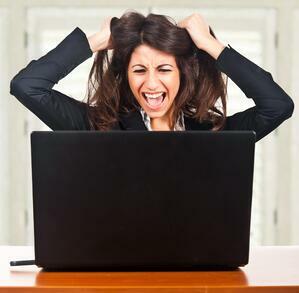 Is it that retailers do not prioritise back-office processes? Do they not consider the efficiencies and gains in productivity they could achieve? What about the economies of scale for growth? Or the enhanced analysis that a connected solution could bring their business? Is it that they are happy once they have mastered technology at the front-office and are not too concerned with the management information? Food for thought and these questions most certainly will prompt a future blog post on this topic..
As always, we welcome your comments. Are you going to the Food, Hospitality & Retail Expo on 5th of September in City West Conference & Exhibition Centre? *integrates with most leading EPoS providers (Ireland/UK). Our blog is designed to keep our readers informed and up to date with information that we hope will be interesting and beneficial. Enjoy!